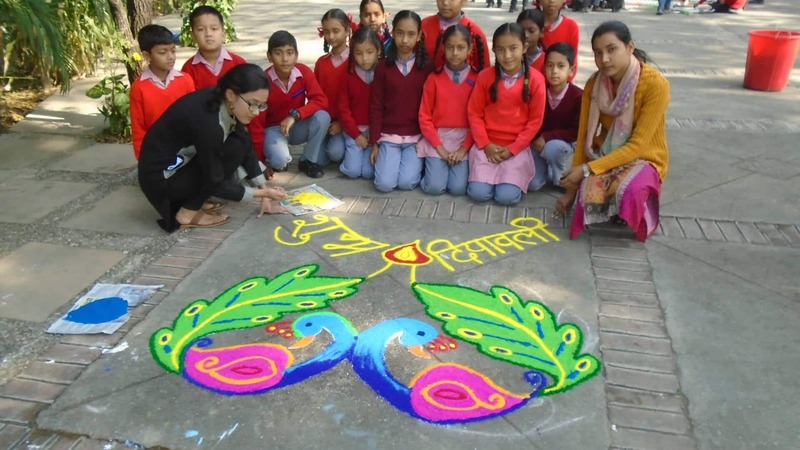 Today we celebrated Diwali in school by making rangoli with colours. 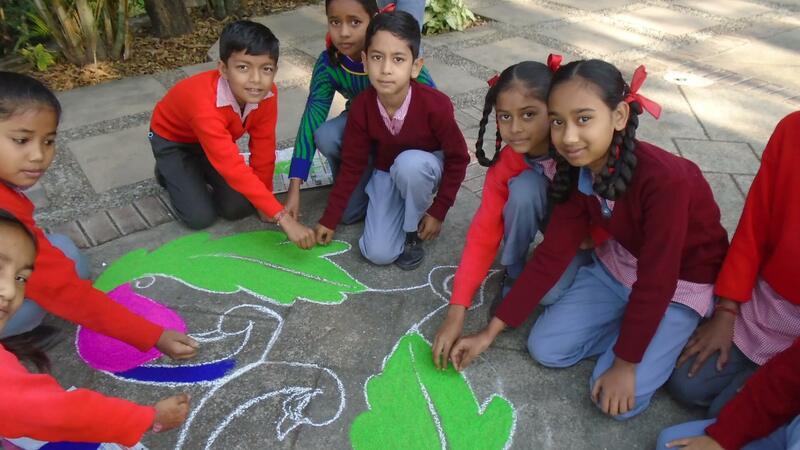 All the four houses Agni, Jal, Prithvi and Surya participated and made colourful rangoli patterns in our front yard. Deepawali greeting from all of us from J.M.M.S.